Anyone wishing to see how our Institute ticks or interested in a particular speaker, is most welcome with no obligation to join, ( although, of course, we hope that you do). Our WI is over 75 years old changing from our original afternoon meetings to evenings, probably as a result of more women taking up full time work. We usually have about 30 members at any one time and we are a rural Institute in a lovely village. Monthly meetings usually start with a talk from a speaker and then progress to delicious refreshments, provided on a rota basis by members, and lastly we have the business meeting. We don’t have a formal meeting in August but have a lunch party in a member’s garden. As well as our monthly meetings we have a lunch club which tries out local eateries,( from Greek restaurants to hostelries and Garden Centres) which is well attended and enjoyed, a Craft group who meet regularly to,’knit and natter’ and to do wonderful patchwork and needlework. 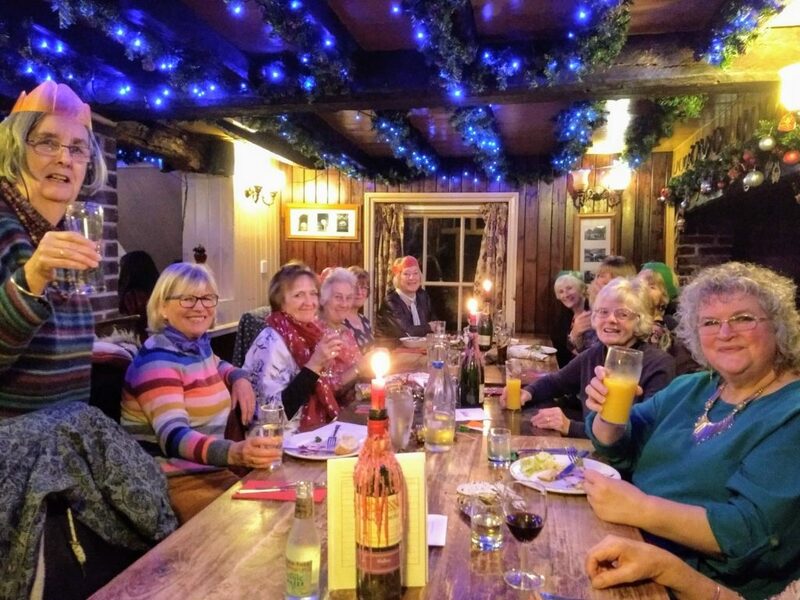 Our Christmas meeting is often arranged by these talented ladies where cards and decorations are made by those attending, together with much merriment and chat! Every Spring we have a Jumble Sale which helps to swell funds – quite a task but many hands make light work – and it is a good fund raiser. Recently we have arranged a trip to the Mary Rose project in Portsmouth, been to see the Ballet live screened to a local cinema, a group of members attended the ‘Women go Wild’ camping event which they thoroughly enjoyed and three of us went to a day at the National Gallery on Portrait Painting. A group also went behind the scenes at the theatre in Eastbourne. We are open to all suggestions for outings – the more the merrier and annually we award a bursary to a member to go to a course of their choice at Denman College. 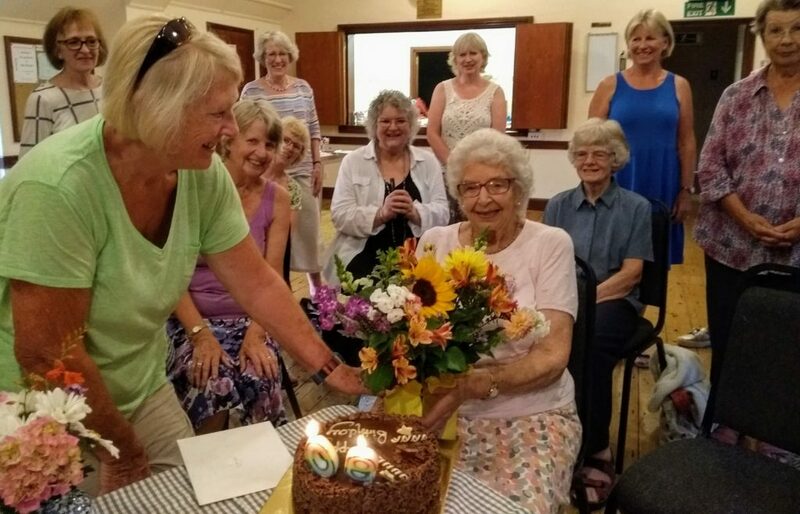 Rushlake Green WI certainly tries to give good value for your subscription, is friendly and welcoming, ready to embrace new ideas and new faces, while maintaining the values of the Women’s Institute.